We are pleased to offer for sale this Illustrated Reference Guide for 5 Cents Coins of Canada Part 1 1858-1936 2nd Edition by M.K. Blais. 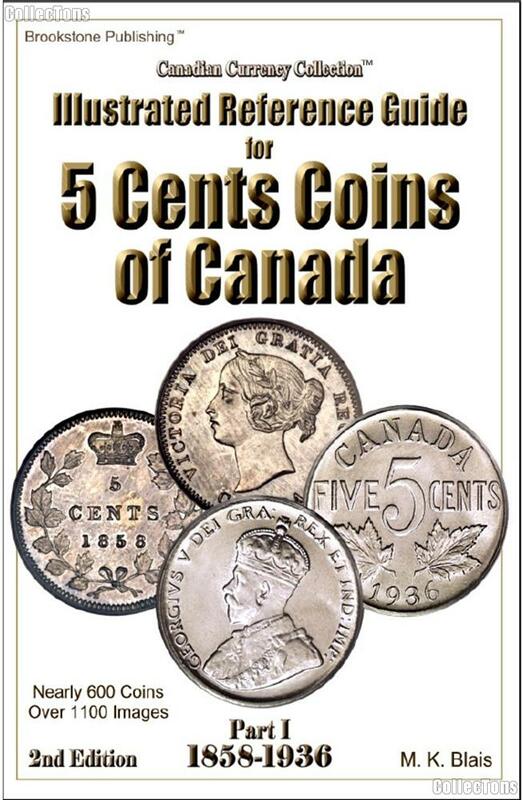 This 358 page paperback is a comprehensive guide to 5 cent coins of Canada dated from 1858 through 1936. Images for 530 Business Issue, Specimen, Variety, Pattern, Error, Special Issue Commemoratives, Replica, Counterfeit, and Countermarked coins. Brief histories of the monarchs found on the obverses. This is a brand new book from our inventory.